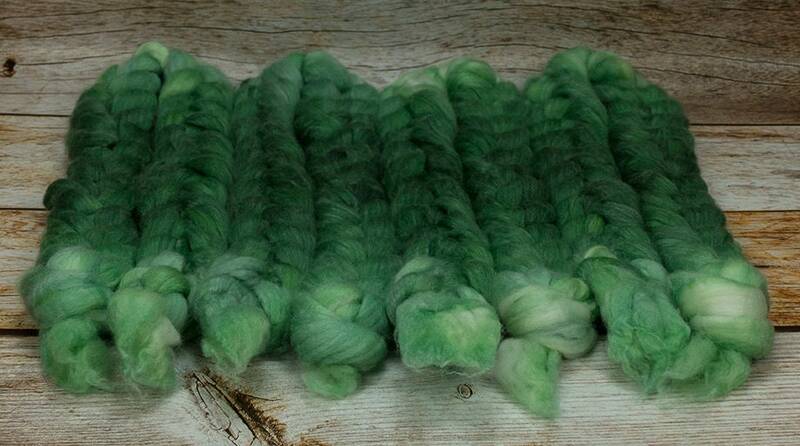 Emerald Isle / Lleaf Handpainted SW Merino-Bamboo-Nylon Combed Top/ 4 oz. 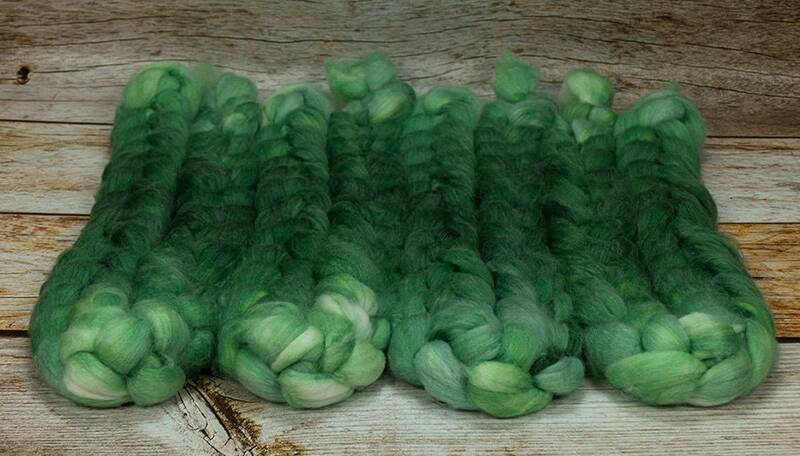 Really beautiful, lusterous and soft roving. I love the way the shades of green shift in this! 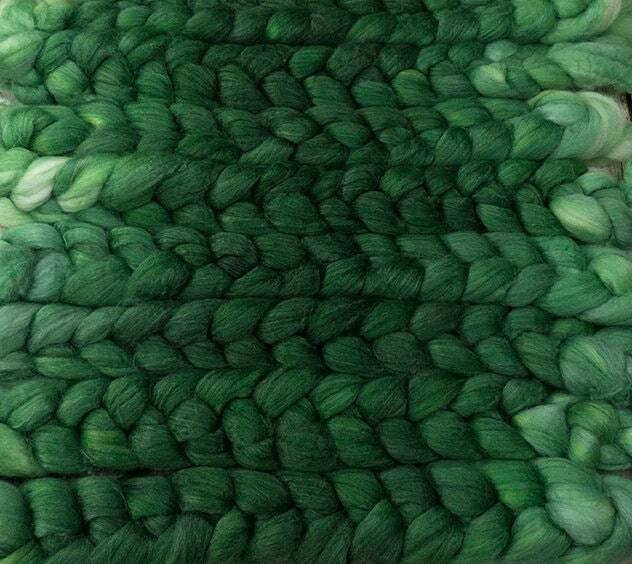 Made a gorgeous worsted yarn.